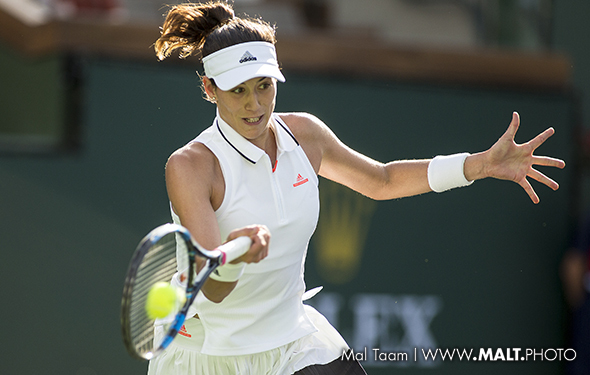 Right fromthe start, it looked like Garbine Muguruza was ready to roll. She wants to end the season being ranked No. 1, as that has been her goal all year long. On Sunday, she cracked the young player Jelena Ostapenko 6-3, 6-4 at the WTA Finals in Singapore. Muguruza jumped on the ball immediately and was pretty consistent. She is fast, she hits two big strokes – her forehand and backhand – and now, she actually is planning her next shot, rather than getting angry. Ostapenko always goes for her shots, but at times, the Roland Garros champ is very erratic. She will learn in time, but not yet. In a sense, the same goes with Karolina Pliskova, who has struggled since the end of August when she lost too early at the US Open. She was so upset that she and her coach waved goodbye. She has been OK in Asia over the past six weeks, but not great. On Sunday, though, she was locked in and totally crushed the 7-time Grand Slam champ Venus Williams 6-2, 6-2. That was a blowout. Even though Pliskova said that it was close at times, Venus realizes that she isn’t ready to compete right now. “I just have to put the ball in the court, is what it boils down to. I’ve been in this position before so I’ll be back on Tuesday,” Venus said. We hope so. If Venus does not, the 37-year-old will go home, back to Florida. She is still extremely good, but without a doubt, she is aging. We all do. On Monday … No. 1 Simona Halep will play Caroline Garcia, and then Elina Svitolina will face Caroline Wozniacki. According to Ostapenko, the ball is very slow, so both Halep and Wozniacki will have the edge, grinding it away. With the guys, props to Juan Martin del Potro, who wins Stockholm by defeating Grigor Dimitrov 6-4 6-2. DelPo has a chance to reach the ATP Finals, but that means he is going to have to go seriously deep at the ATP Masters Series in Paris. DelPo wants to do it but, as he says, he has to be very careful. He gets injured too often. However, if he stays healthy, then maybe he can win the ATP Finals for the first time, In 2018, he has a very good chance to win his second major as his backhand is slowly healing.